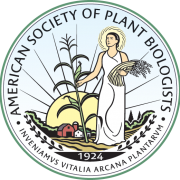 The American Society of Plant Biologists is seeking applications for its 2019 Transforming Education in Plant Biology grant, which provides up to $4500 for faculty teaching classes in plant biology in support of professional development toward the incorporation of evidence-based methods into new or revised courses. Applications for 2019 are being accepted now through October 31, 2018. The full request for proposals is on the ASPB website.